I’ve found one of the best ways to get to know my characters (especially as a fantasy writer) is to poke through their bedroom. 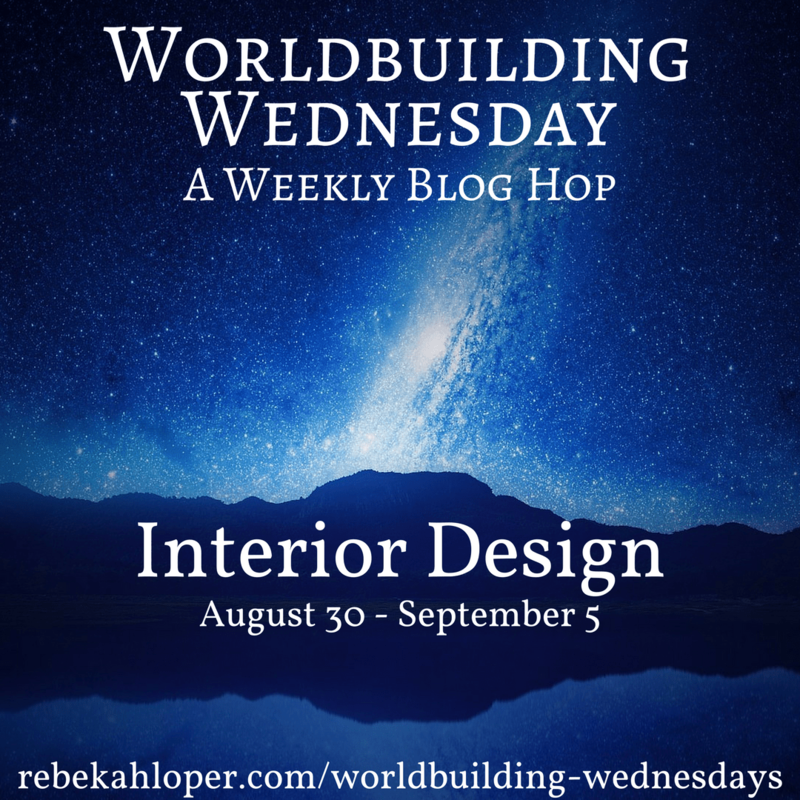 By doing that, you’ll learn what is most important to them, and where they came from.Interior design isn’t really something writers think of when they sit down to work on a story, and yet it’s something that every writer will incorporate simply by have scenes that take place inside buildings. Interior design plays as important a role in the setting of your story as architecture does. It can convey the history and lifestyle of your characters in the same way that architecture does for the world you’ve created. The culture will influence what your characters value and why. It’s important to also consider religious aspects in this as well, and whether they run with or counter to the culture. Superstition will also influence culture, and so consider what sorts of talismans might be found around a home, even if not consciously selected by the character. Foreign trade will also affect interior design – certain styles will immigrate with trade routes, and while textiles like silk might be limited to the wealthier classes of society, the lower classes will find ways to mimic what those of higher social status have. And, of course, don’t forget to account for any personal quirks and preferences your character has! What does your character’s bedroom have in it? Feel free to describe that for your post! What is a cultural item that is standard through every home? What is a foreign trend that was picked up somewhere along the way? Haven’t thought much about interior design specifically until now. Even now I need to start creating more little details that I may or may not use.